An investigation has been launched into an officer-involved shooting that occurred near the Richmond BART station early Thursday, according to the transportation agency. The suspect was injured in the shooting and transported to a hospital to undergo surgery, according to Richmond police. No officers were hurt. BART officers were first alerted to reports indicating that a man with a firearm was leaving the station following a reported altercation, according to BART. Following a search of the area, BART officers eventually found a person that matched the description of the suspect. "Officers contacted the suspect, and the contact resulted in an officer-involved shooting," according to BART. 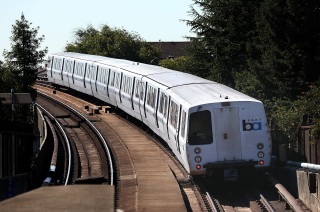 Authorities did recover a firearm from the suspect, according to BART. The Richmond Police Department and Contra County District Attorney's Office are investigating the incident, according to BART.